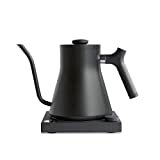 This cool new Fellow Stagg - Pour-Over Kettle combines modern form and precision function when heating water to the optimal temperature for pour over coffee brewing. 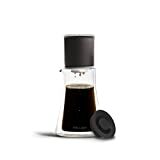 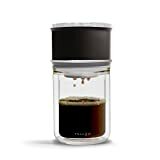 It features a 304 18/8 stainless steel body, a stainless steel lid with an integrated brew-range thermometer, a precision pour spout with a fluted tip for an optimal pour-over flow rate, and a counter-balanced handle. 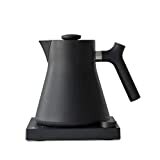 These sleek kettles are gas, electric, and induction range compatible and come in either copper, matte black, or polished stainless steel. 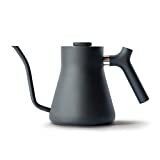 The perfect kettle for fans of the pour-over brewing method. 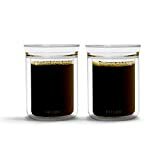 Red range highlights optimal brew temperature between 195 and 205 degrees fahrenheit.